Weekly Update. Yep, I’m still here! 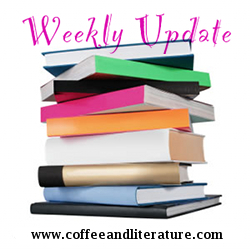 Just a tiny update to let you know what is coming soon on Coffee & Literature. I will have reviews on at least three books this week: Golding’s Lord of the Flies, Hawthorne’s The Scarlet Letter, & Plath’s The Bell Jar. Hopefully I’ll have those up soon. Why those three you ask? Those are the three books I’m currently teaching to my students. I have several more lined up after those that are some of my own choosing, but many I will be reviewing in the school year will be those that my students are also reading. I also will be reviewing Sylvia Plath’s book of poetry, Ariel, as well. This week’s poetry café will more than likely be a poem from that book. A note on my eReader decision…I’m almost positive I’m going to either get an iPad or a Nook. I’m holding out to see if Barnes & Noble comes out with a Nook 2 or if Apple comes out with a different iPad, both of which have been rumored to be released by Christmas, which is when I’m looking to get one. For those of you who have followed my “What’s in Your Bag?” and “Project 365” posts, never fear, I’m still doing those. I’ve got a back log of photos to post for Project 365, actually. Hopefully I can get to those tomorrow since I’m off work. (Yay, Labor Day!) I’m also going to do a quick review tonight of a new planner I got that I think book lovers in general will appreciate….the filofax planner that is ever so popular in Europe. Stay tuned! Previous Post Weekly Update…I promise I’m still here!